Opinion | Is there a gap between the Arahant and the Bodhisatta? Is there a gap between the Arahant and the Bodhisatta? 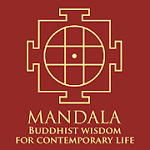 North Carolina USA -- Sometimes people place a lot of emphasis on the differences between the Bodhisatta and Arahant concepts of the Theravada and Mahayana paths. I wonder, is there truly a difference, or is it if fact our perceptions that create this illusion? sometimes thought that the "Theravada arahant" is a selfish practitioner out for his own benefit while the "Mahayana bodhisattva" is a selfless practitioner out for the benefit of the many sentient beings trapped in samsara. "I have heard that on one occasion the Blessed One was staying near Rajagaha in the Bamboo Grove, the Squirrels' Sanctuary. Then Ven. Maha Kassapa went to the Blessed One and, on arrival, having bowed down to him, sat to one side. As he was sitting there the Blessed One said to him, "You are now old, Kassapa. Your robes made of cast-off hemp rags are heavy for you. So wear robes donated by householders, eat invitational meals, and live close by me." "Lord, for a long time I have lived in the wilderness and have extolled living in the wilderness. I have been an almsgoer and have extolled being an almsgoer. I have worn cast off rags and have extolled wearing cast off rags. I have worn only one set of the triple robe and have extolled wearing only one set of the triple robe. I have been modest and have extolled being modest. I have been content and have extolled being content. I have been reclusive and have extolled being reclusive. I have been unentangled and have extolled being unentangled. I have kept my persistence aroused and have extolled having persistence aroused." "But, Kassapa, what compelling reason do you see that you for a long time have lived in the wilderness and have extolled living in the wilderness... that you have kept your persistence aroused and have extolled having persistence aroused?" "Lord, I see two compelling reasons that for a long time I have lived in the wilderness and have extolled living in the wilderness... that I have kept my persistence aroused and have extolled having persistence aroused: seeing a pleasant abiding for myself in the here & now, and feeling sympathy for later generations: 'Perhaps later generations will take it as an example: "It seems that the disciples of the Awakened One and those who awakened after him lived for a long time in the wilderness and extolled living in the wilderness; were almsgoers and extolled being almsgoers; wore cast off rags and extolled wearing cast off rags; wore only one set of the triple robe and extolled wearing only one set of the triple robe; were modest and extolled being modest; were content and extolled being content; were reclusive and extolled being reclusive; were unentangled and extolled being unentangled; kept their persistence aroused and extolled having persistence aroused." "Good, Kassapa. Very good. It seems that you are one who practices for the happiness of many, out of compassion for the world, for the welfare, benefit, & happiness of beings human & divine. So continue wearing your robes of cast off hemp cloth, go for alms, and live in the wilderness." We can see here that Kassapa is an arahant (free from avijja and the kilesas) and yet he still continues to practice. The Buddha then praises him as practicing for the benefit of many, out of compassion for the world.....etc. This is in direct contrast to the thought that arahants practice for the single, selfish reason of their own benefit. Through their efforts they seek to inspire and teach by example for future generations. There is no label placed here on Maha Kassapa, yet we can still see the bodhisattva ideal of practicing with compassion for the benefit of all. Whatever Path you choose, whatever goal you set for yourself, in the end selflessness is selflessness. No label is necessary for such a practitioner. They are beyond labels (which are conditioned by the labeler), so in a way it is unfair to try and contain them in some pre-packaged notion. It isn't so much that the Theravadin Path lacks these things (bodhisattva ideals), but instead it's more likely that they are just not pointed out as often. Rather than trying to "bridge the gap" that has arisen between these two traditions I merely want to show that it is more our perceptions that need to be bridged - by wisdom. Words, concepts, ideas - these are all conditioned by the thinker, as well as the initial thought itself. When we cling to these things we are clinging not to Dhamma, but to dukkha. If you see this clearly you will realize that to place limits upon yourself while on the Path to the Unconditioned is missing the point. What the Buddha taught is beyond limitations, conventions, and conditions. In whatever tradition or school that has arisen since the Buddha's time there is one commonality that has transcended any disagreements: Practice is the way, the way is practice. What is practice? To put it simply, practice is what a sentient being does to realize the Dhamma for themselves, gradual or sudden. The Buddha merely explains, "This is Dhamma, this is how you see it clearly. This is dukkha, this is how to become free from it." 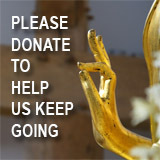 We are all on the Buddha's Path to see the Dhamma clearly are we not? Why try so hard to separate ourselves from one another even more by comparing which way is better, which way is quicker, which way is "mine"? There is no copyright on the Buddha's teachings. There is no ownership. In fact there is no owner to be found! There is just this thusness of arising and ceasing. Just words. Simple, conventional, limited human words. Ideas, really, to define that which we strive to understand. The secret is that understanding does not come from defining, from striving, or from thinking. Those things are conditioned and become divisive.